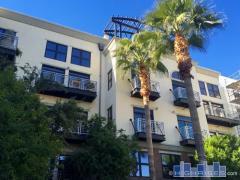 Portland on the Park is a brand new luxury condominium community in Downtown Phoenix. Portland on the Park features a number of amenities including a resort style pool, roof deck, grilling area, fitness center, and more. Have any comments or questions about Portland on the Park? Ask your question and/or share your thoughts about this Building. I am not sure if prices have been published as of yet. I will certainly do some investigating for you.